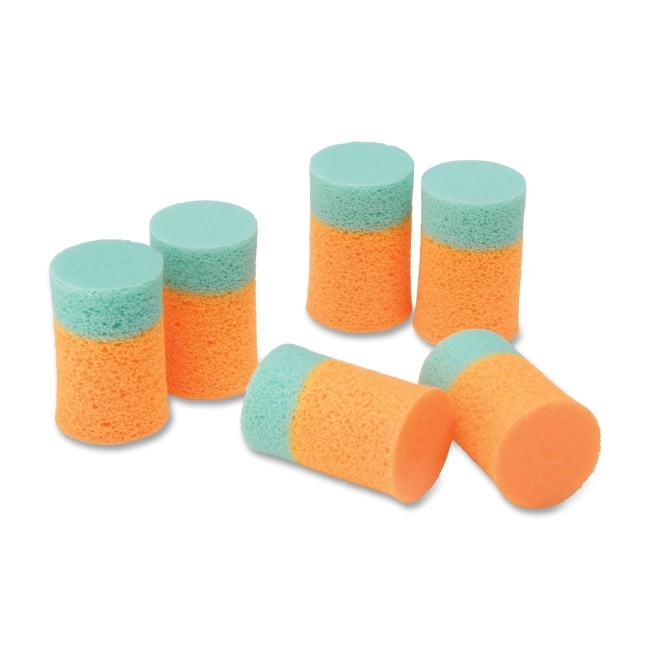 Nonallergenic earplugs expand to the size and shape of the ear canal for a comfortable fit. Fluorescent orange and light green colors provide high visibility for compliance checks. Nonallergenic ear plugs offer a 29-decibel noise-reduction rating. Polyvinyl chloride foam provides an excellent source of sound attenuation. Earplugs comply with ANSI: 12.6 - 1984. Pairs of plugs are individually packaged. Dispenser box can be easily mounted using a self-adherent tape strip.